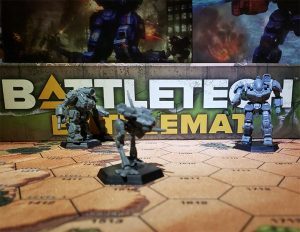 Two main usages of the term edit war have emerged within BattleTechWiki. Both are included for clarification. Some consider the term to describe two or more contributors' repeated reverts of one another's edits to an article. Others subscribe to a much broader definition, encompassing any situation in which two or more authors repeatedly edit an article (especially particularly contentious excerpts) extensively. This usage is harder to identify clearly; individuals using this definition sometimes disagree on whether or not a particular editing episode constitutes "warfare." Subscribers to the second definition consider the first to be a revert duel. To them, although this term describes a unique type of edit war, it is insufficient to describe edit warfare in a broader context. Regardless of whether or not such activities can properly be called "edit wars," most users consider sustained episodes of unproductive but animated cut-and-thrust editing to be undesirable. If objectively-minded users observe such an ongoing exchange and cannot "talk down" the involved parties, or encourage them to enter the dispute resolution process, users may request protection of the disputed article to enforce a cool down period. In severe cases of abuse, warring parties who persist in punitive editing may be subject to arbitration. Reversion wars between competing individuals are contrary to BattleTechWiki's core principles, reflect badly on both participants, and often result in blocks being implemented due to violations of the three revert rule. Instead of performing pure reverts, disputing persons should cooperatively seek out methods of compromise, or alternative methods of statement. While edits made in collaborative spirit involve considerably more time and thought than reflexive reverts, they are far more likely to ensure both mutually satisfactory and more objective articles. In the case of less experienced contributors, who have unknowingly made poor edits, reversion by two or more people often demonstrates that such reversions are probably not fundamentalistic or in bad faith, but instead closer to an objective consensus. High-frequency reversion wars make version histories less useful, make it difficult for uninvolved users to contribute in a meaningful fashion, and flood recent changes sections and watchlists. 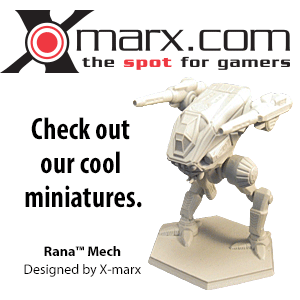 Low-frequency reversion wars, while still problematic, do not tend to cause the BattleTechWiki community as many problems. Therefore, it is advisable to not hold a revert war with a vandal, and instead explore other alternatives such as blocking the vandal, (semi-)protection, or simply leaving the page alone until the vandal has left. Of course, the latter should not be used for blatant issues such as pictures of genitalia, but according to experienced editors, waiting for an hour or so may well cause troublemakers to lose interest, and subsequently leave. Reversion wars about blocks, protections or deletions (e.g. a page being repeatedly protected then unprotected by two admins) are occasionally called wheel wars. Edit warriors may have many motivations. Such motivations may include, but are not limited to: strong political, religious, or other beliefs; an excess of free time; bigotry/prejudice; pride and a general dislike of a particular user. Dissenting persons might see reason in one's approach to a particular issue. In emotionally heated cases, introspection and detachment from the subject oftentimes serve to cool tempers. One avoids the risk of violating BattleTechWiki policy and unintentionally reverting four times within 24 hours (Three-Revert Policy). This page was last edited on 11 July 2009, at 19:04.